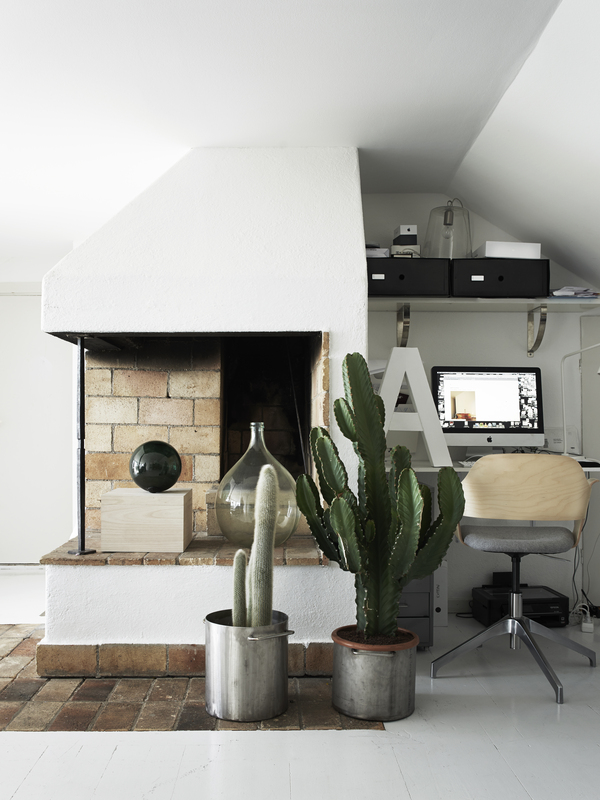 At the renovated 1950s farmhouse of blogger and stylist Annaleena Leino Karlsson, a mostly white interior complements a rustic brick fireplace, which is adorned with cacti and decorative objects. Self-taught designer Tom Givone has a keen intuition for how to update 19th-century farmhouses with unexpected details. His latest creation—a torqued-volume addition to an 1850s family homestead in Pennsylvania—is his most audacious yet. In a rundown barn beside their bucolic farmhouse, a Danish couple created a contemporary art studio for their work. The historic structure was outfitted with solar modules and windows in order to supply the interior with the maximum amount of light. Architect Andrew McAvoy clad this Scottish farmhouse in Cor-Ten steel as part of a complete overhaul. "The building’s wonderful deep oxidizing metal color blends beautifully into the rustic backdrop of this former oat mill site," says McAvoy. This contemporary summer home on the Portuguese coast sits within remarkably well-preserved 18th-century stone walls. In keeping with the farmhouse's rugged character, the new home's decor was pared down to the essentials. Photo by Pia Ulin. Image courtesy of Ryland Peters & Small.